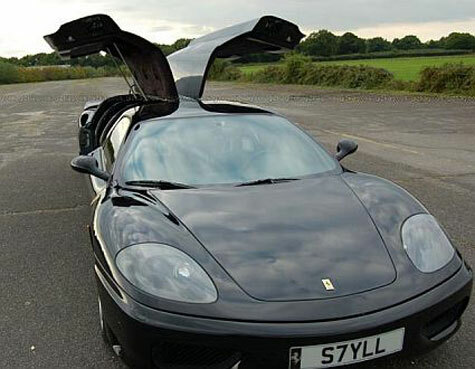 This unique black Ferrari 360 Modena carbon fibre stretch limousine will undoubtedly spin heads when it’s unveiled at the European Limousine and Chauffeur Show in the UK this month. The fastest limo in the world according to owner Dan Cawley, the 23 feet long, 400bhp vehicle achieves 0-60mph in less than six seconds and has a top speed of 170mph. The interiors feature a 10-inch flat screen monitor which transmits images from cameras positioned on the outside of the vehicle. A six speaker surround sound system and DVD system take care of the audiophiles. That was really nice…Limousine Service Orlando Florida offer Limousine Services to airports, weddings, proms, Sports events and night on the town events throughout the florida.We are also providing Limousine transportation services to and from all Central Florida airports. Very nice limo! But it’s missing a bar Stretchlimo Berlin offers limo hire in Berlin an Potsdam. 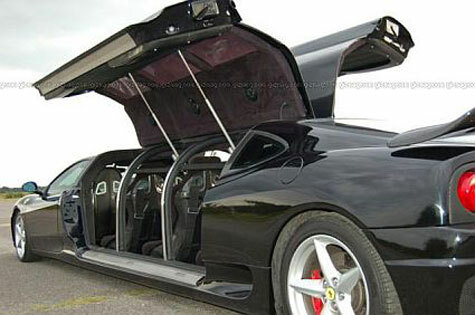 Should i call it a plane or a bird,i’ve no words to explain since its exterior design will explain how lavish it is.